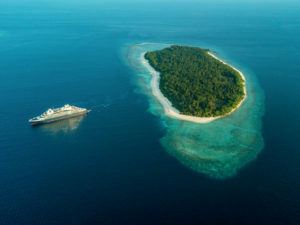 Luxury cruise operator PONANT has an increasing demand for fast, reliable and available connectivity to complement its unique, global high-end and expedition offering. By partnering with Marlink, PONANT benefits from its continuously updated global multi-band infrastructure, delivering high quality of service wherever ships travel. Combining exceptional itineraries and 5-star hotel services, PONANT specialises in French-style cruises designed to offer excellence across the board, from ship-board services to the quality and exclusivity of the itinerary destinations. 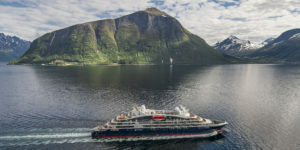 Its seven current vessels, including the intimate Le Lyrial, with its 122 staterooms and suites, and the newly launched Le Champlain and Le Lapérouse, all promise high-end experiences, of which available communication even in tropical and polar regions, is a vital ingredient. Two new PONANT Explorer yachts, Le Bougainville and Le Dumont-d’Urville, are currently under construction and will join the fleet this year. Featuring innovative and environmentally-friendly equipment and elegantly designed suites, these new yachts are set to offer a truly unique cruising experience. With such a commitment to providing a luxury cruise experience in exotic destinations ranging from the islands of the Caribbean to the icebergs of the Arctic, PONANT understandably demands high-bandwith connectivity. Class-leading Internet access alongside premium quality telephone, GSM and data communications connectivity for on board guests, crew and business are simply essential. Marlink is able to deliver ever higher quality of service to PONANT through its unique global network of overlapping beams on all frequencies. Each vessel has access to global Ku and C-band VSAT in addition to L-band solutions and GSM/LTE services, ensuring that the best available service is in use at any time and that IP and voice communication is always available. Marlink’s sophisticated SMARTConnect service handles switching between alternate carriers to ensure seamless connectivity and class-leading uptime. As a long-term partner, Marlink has been able to ensure coverage on its global network for all our vessels wherever they are, providing connectivity for guests and our business, operational and crew welfare needs. The contract extension in 2017 introduced even higher speeds and QoS, helping us to improve our on-board facilities across the fleet.